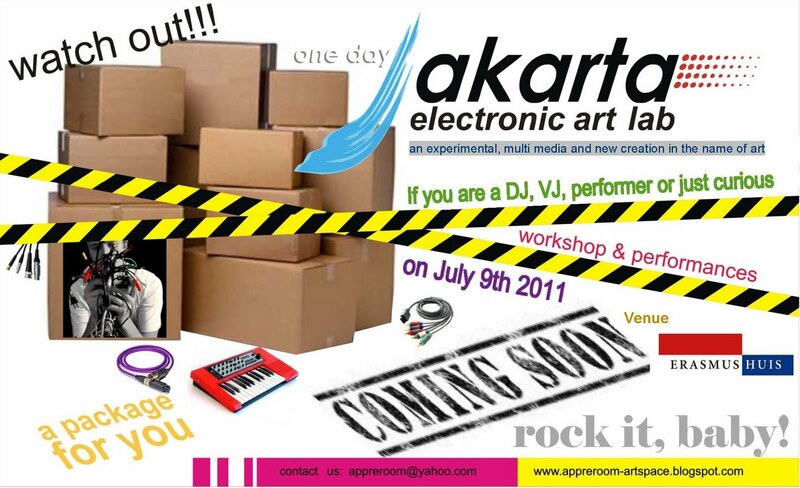 Workshop : DJ, VJ, video artist, visual maker, visual artist mau pun performer [performance artist] baik individu mau pun institusi serta umum dipandu oleh para penyaji workshop yang merupakan para ahlinya dan bertaraf internasional baik dari Indonesia mau pun dari Belanda. DJ, VJ, video artist, visual maker, visual artist and performers [performance artist] both individuals and public institutions will also be guided by the workshop presenters who are experts in international level both from Indonesia also from the Netherlands. Vision & Mission · The AppreRoom or Appreciation Room has its activities in the field of art space and acts as one and at the same time as a cultural link also connecting people to the peaceful mind. · Established and started its activities in 1998, among others organizing art event beyond the location of the gallery, AppreRoom is an open space for art observers and art workers as well consisting of praxist and theoreticians. They consist amongst others of fine art workers, painters, sculptures, performance artists, photographers, writers, and choreographers, performing artists, ethnomusicologists, reporters and other art workers including education practitioners [lecturers] in the respective fields of art. · This institution forms a “room” as a vehicle for the aspiration of care to the cultural aspect and art or more than that, to the culture itself. 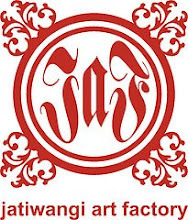 · Therefore this institution is like a terminal which provide to its members an intermediate place to be able to be actively participating to develop the activities of the group, and themselves, before to be on the next step as a process to reach the highest achievement of their soul on this earth and universe.